Book Cheaper Skiathos Airport Car Hire - Compare reduced prices on SUV, MPV, Minivan & Convertible Rental Rates. Compare cheaper Skiathos Airport car hire, as well as save money on moke, jeep, SUV, MPV, convertibles, estate/station-wagon and minivan hire, by booking your holiday auto rental through our website. The companies that we have got discounted rental rates from for Skiathos, are chosen from our Greek partners, that include:- Budget, Olympic, Thrifty, Sixt, Firefly, Hertz, Avis, Europcar, Cosmos, Surprice and AutoUnion. Get unlimited mileage, comprehensive insurance and 24 hour roadside assistance included. We can also offer zero excess cover with an option to buy insurance during the booking process. If after something special, like Jeep, 4x4, convertible or minivan that will seat upto 9 passengers, then please book early. All vehicles come with unlimited mileage, roadside assistance and Collision Damage Waiver, so although you get a cheaper price, you get the same quality of vehicle, and level of service, as if you went direct. Changes can be made free of charge. Cancellations policy is usually free cancellation upto 48 hours before collection. 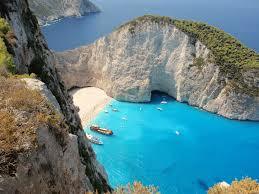 Compare our discounted minivan prices for Skiathos Airport. Saving on motoring costs for either SUV or MPV made simple. Book today and drive away a cheaper estate. 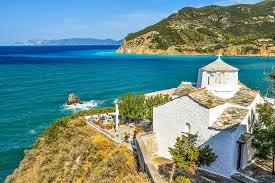 This popular Greek island, part of the Sporades Islansds, keeps it's charm, year after year. Sitting in the north west corner of the Agean Sea, the beaches, towns, ports and hills are a constant attraction, for both those seeking the lively, and not so lively, nightlife. Stay in a taverna, or pension, to get the real feel of Greece. 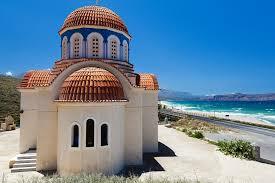 Then, when settled in, go the the centre of the island to go back a few hundred years in Kastro. Skiathos Airport has the three letter IATA code of JSI. If not flying into the island, then get on a boat headed for the port of Chora.